Kevin MacNeil Competition Winners… | Scots Whay Hae! 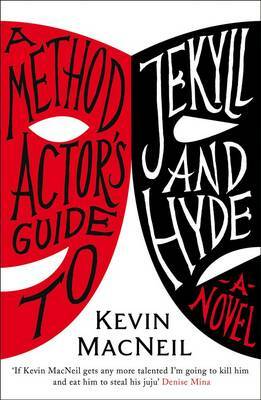 Thanks to everyone who entered the competition to win a signed copy of Kevin MacNeil’s fantastic novel A Method Actor’s Guide to Jekyll and Hyde. The question was: In R.L.Stevenson’s original story, what are the first names respectively of Dr Jekyll and Mr Hyde? And the answer is, as everyone who entered knew: Henry Jekyll and Edward Hyde. I have just pulled the winning names from my old bunnet and the lucky people are Kirsty Neary and Graham Leary (the rhyming nature of the winners is pure, if pleasing, coincidence). Congratulations to both of you, you’ll be getting the book as soon as the weather will allow. Keep a look out for future competitions on Scots Whay Hae! and there will be a chance to win a signed copy of Kevin MacNeil’s début novel The Stornoway Way when next month’s Indelible Ink column appears at dearscotland on the first Monday of the New Year.